The legislation sailed through the Senate nearly a month ago in response to Russia's meddling in the 2016 presidential election and its belligerence toward Ukraine. But the bill stalled in the House with Democrats and Republicans blaming each other for the delay. Marc Short, the White House legislative director, told reporters that the administration backs the new sanctions on Russia and Iran. But he appeared to object to a key part of the legislation that would give Capitol Hill a much stronger hand in determining Russia sanctions policy. The bill would require a congressional review if President Donald Trump attempted to ease or end penalties against Moscow. "Our concern is that the legislation, we believe, sets an unusual precedent of delegating foreign policy to 535 members of Congress by not including certain national security waivers that have always been consistently part of sanctions bills in the past," Short said. Following his lengthy meeting on Friday with Russian President Vladimir Putin in Germany, Trump said he wants to move forward "working constructively with Russia" Officials from the Treasury and State departments met last week with House congressional staff to voice their concerns over the congressional review section of the bill. The officials said the provision would infringe on the president's executive authority, according to an aide knowledgeable of the discussions. But weakening that provision substantially could provoke resistance from Republicans and Democrats. Sen. Bob Corker of Tennessee, the Republican chairman of the Foreign Relations Committee, heralded the review requirement as the proper exercise of congressional authority. Corker told reporters Monday that it's not unusual for a White House to resist oversight of foreign policy. But he said the sanctions review requirement is a "very important" part of the legislation. "Any administration would prefer to conduct foreign policy 100 percent without involvement from Congress," Corker said. But no Trump administration official has contacted him to say "we don't want this legislation to pass. That has never occurred," he said. Trump tweeted Sunday that sanctions against Russia were not discussed at his meeting with Putin. But White House spokeswoman Sarah Huckabee Sanders contradicted Trump, telling reporters Monday that "sanctions specific to election-meddling were discussed" in the meeting. Ashley Etienne, a spokeswoman for House Minority Leader Nancy Pelosi, said that Democrats have been demanding for weeks, to no avail, that the House Republican leadership bring the sanctions bill to the floor for a vote. "While Putin and President Trump meet privately, the American people are left to ask why Republicans are more concerned with Russia's interests than the integrity of our democracy," she said. A key sticking point for Democrats is a proposed technical change to the bill made late last month by the Senate that Democratic aides said Monday would prevent rank-and-file House members from being able to challenge a president's decision to lift or ease the sanctions against Russia. But AshLee Strong, a spokeswoman for House Speaker Paul Ryan, blamed House Democrats for holding up the bill unnecessarily. She said House Republicans are fully prepared to coordinate with the Senate and move the bill forward, "but House Democrats are blocking that and demanding their own changes to the bill." 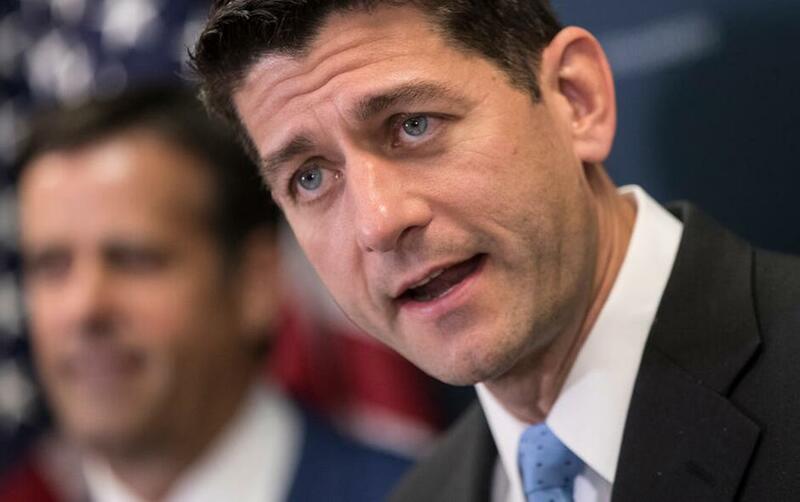 Separately, a Republican aide said House leaders were confident the sanctions package would be approved before Congress leaves for the August recess. The Republican and Democratic aides were not authorized to speak publicly and requested anonymity to discuss private talks. While Congress was on its weeklong July 4 recess, a new wrinkle developed that could make approval of the legislation more difficult. The national trade association representing oil and gas companies said the bill could harm U.S. energy companies while strengthening the hand of Russian businesses. The American Petroleum Institute said late last week that the bill would expand a prohibition on U.S. energy companies from being involved in oil projects located in Russia to projects around the world that include Russian energy firms. In trying to punish Moscow, the group said, the bill could instead penalize major American business, potentially costing billions of dollars in jobs and economic activity. Secretary of State Rex Tillerson, the former CEO of Exxon Mobil, has declined to endorse the sanctions legislation. He said during congressional testimony that Trump needs to have "the flexibility to adjust sanctions to meet the needs of what is always an evolving diplomatic situation" with Russia. The legislation cleared the Senate two weeks ago with 98 votes, an overwhelming margin that suggested the bill would speed quickly through the House and to Trump's desk. But progress on the measure slowed almost immediately. House Republican leaders said the bill ran afoul of a constitutional requirement that legislation involving revenue start in the House. The necessary repairs were made, according to Corker, and approved by the Senate in late June.